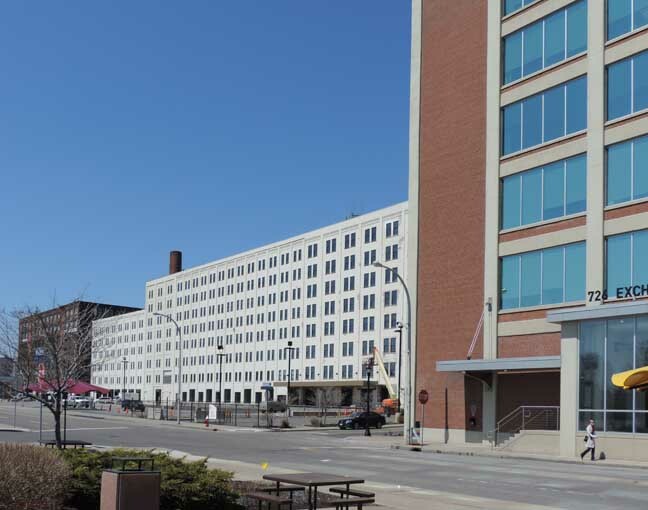 South: Exchange St. ... North: Seneca St. ... East: Van Rensselaer Street ... West: Larkin St.
2012 Photo ... North elevation (Seneca St.) ... Main entrance. The building was resurfaced in a cement-like finish sometime in the 1960s ... 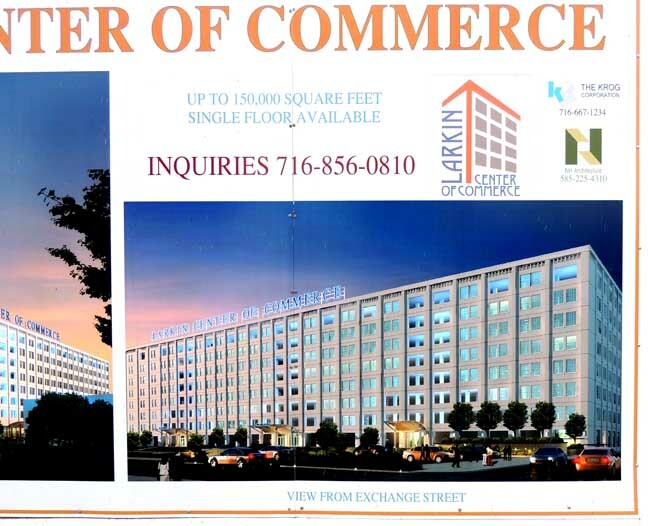 The 1.3 million sq.ft. complex is a series of 12 contiguous buildings ... 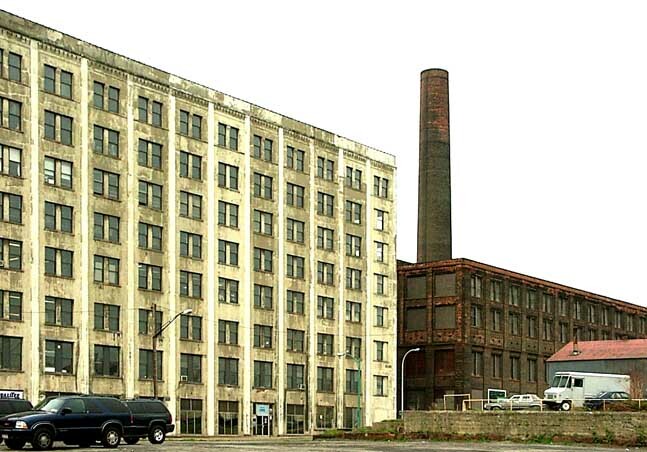 It was completed in 1913 by the Larkin Company ... 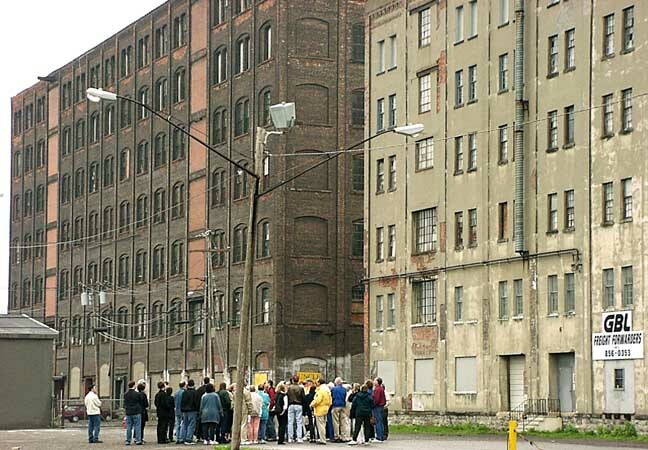 The single largest building in Buffalo ... 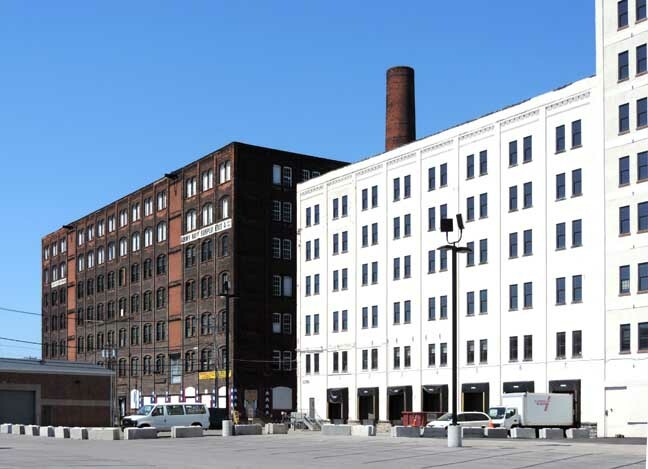 Located within Buffalo's oldest manufacturing district, the Hydraulics Neighborhood. 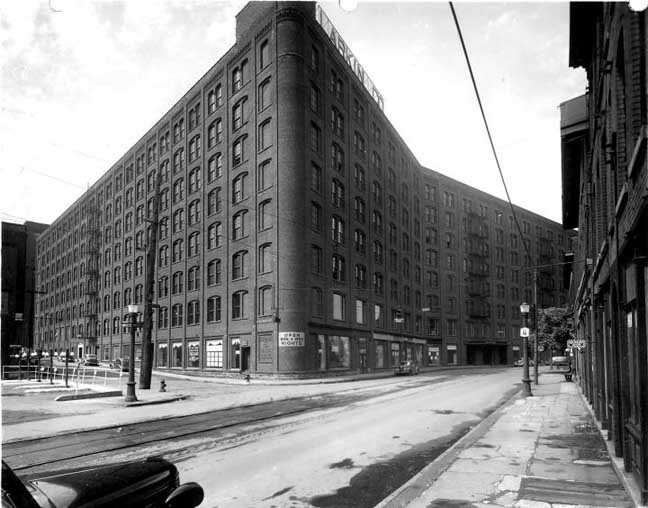 1940s photo ... 701 Senecas St. ... East (Van Rensselaer Street) and north (Seneca St.) elevations. Dark building at far left DEMOLISHED because of fire in 1951. 2014 photo ... South elevation (Exchange St.). Left: 290 Larkin St. ... 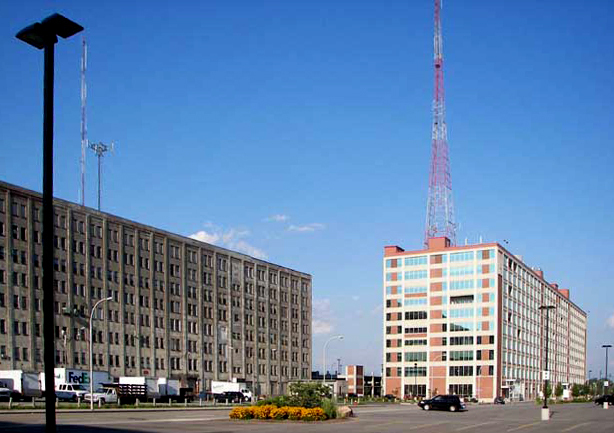 Right: 701 Seneca St. / Larkin Center of Commerce. 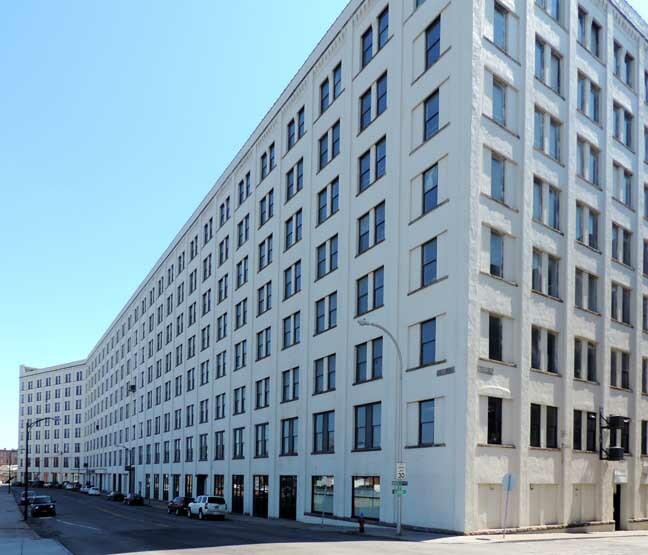 2014 photo ...South elevations (Exchange St.). 1999 photo. South (Exchange St.) elevations. 1999 photo. North (Seneca St.) elevations. 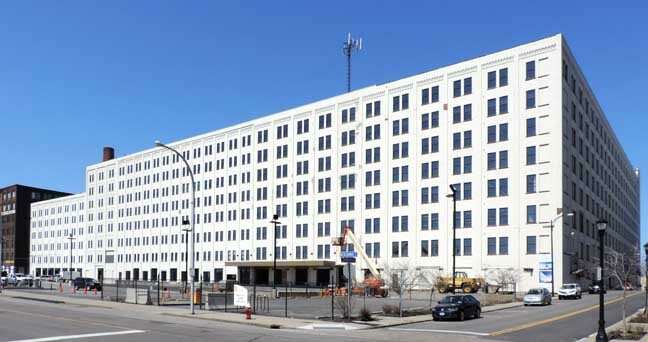 The most massive of the buildings associated with the Larkin Company in the Hydraulics, this large edifice is actually a combination of several smaller building components which were constructed at various stages between 1898 and 1913. 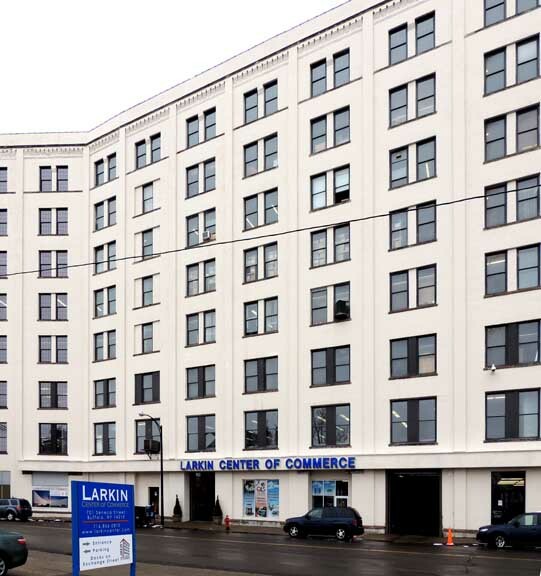 The Larkin Company was among the most successful and innovative companies of its day, boasting $30 Million in annual revenue as early as 1900. 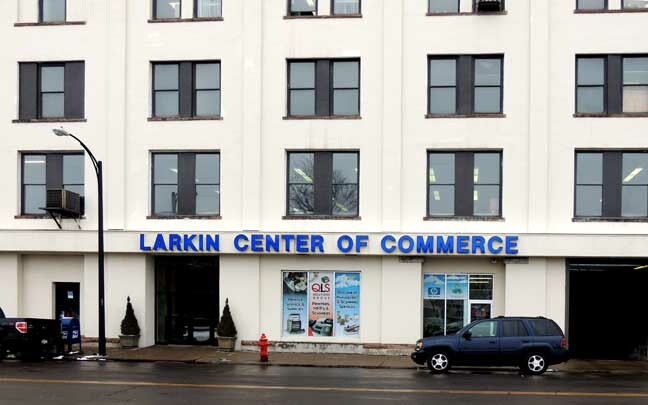 The largest building in the historic Larkin District of the City of Buffalo, the Larkin Center of Commerce at 1.3 Million square feet is home to almost 100 businesses and professional service providers. This extraordinary facility was completed c1906 by the Larkin Company to provide manufacturing, retail and administrative support services for the company. 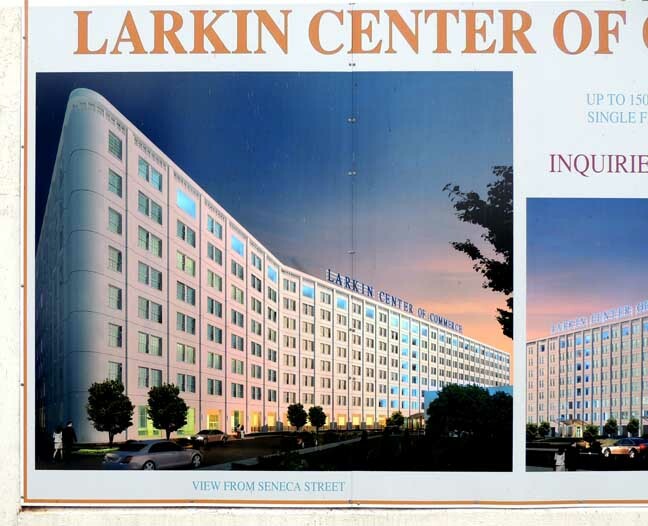 At over 30 acres under roof, comprised of 12 contiguous buildings, it is the largest of the Larkin Company structures. 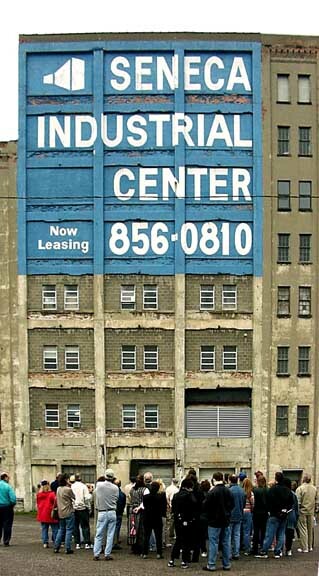 701 Seneca is a leftover from the days when Larkin dominated the scene of mail order household goods. It appears to be one massive building, but in fact it’s eight different buildings that have been connected into a single complex totaling around 1.3 million sq. 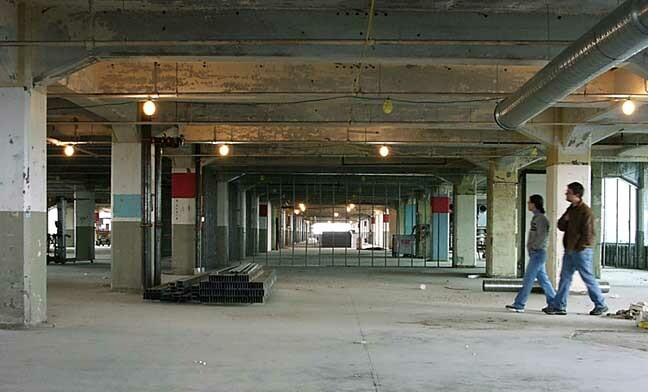 ft.
701 will be restored to the appearance it was in the 1950s/1960s with a full stucco façade. 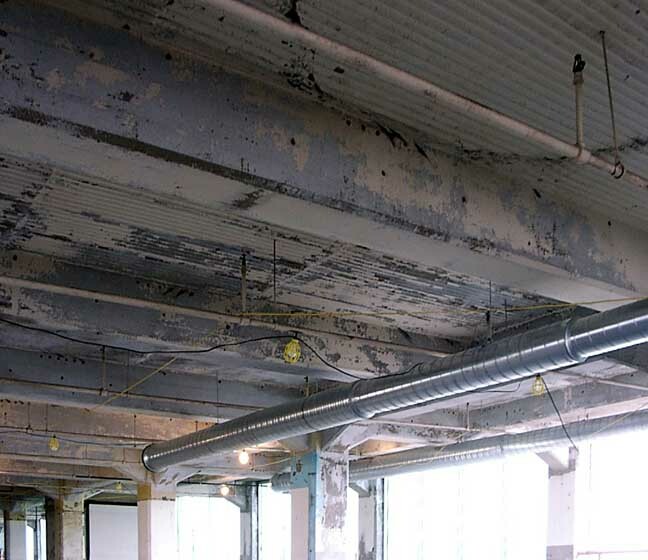 The main reason for this is due to the associated costs of the stucco removal and the resulting damage to the bricks beneath. 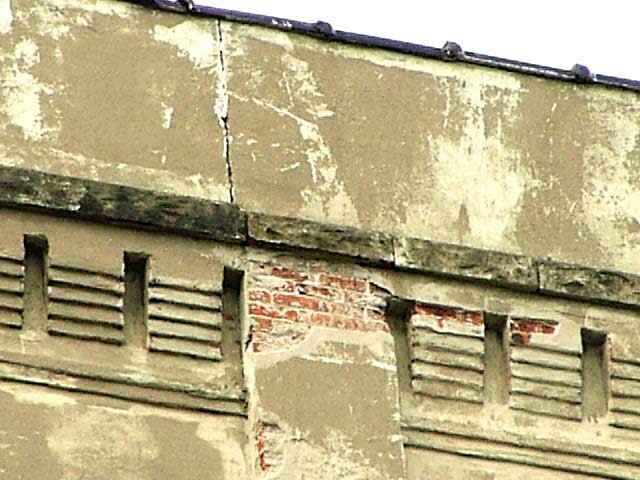 When the stucco is removed it leaves multiple two inch holes in the brick and would damage the brick to the point of not being restorable. 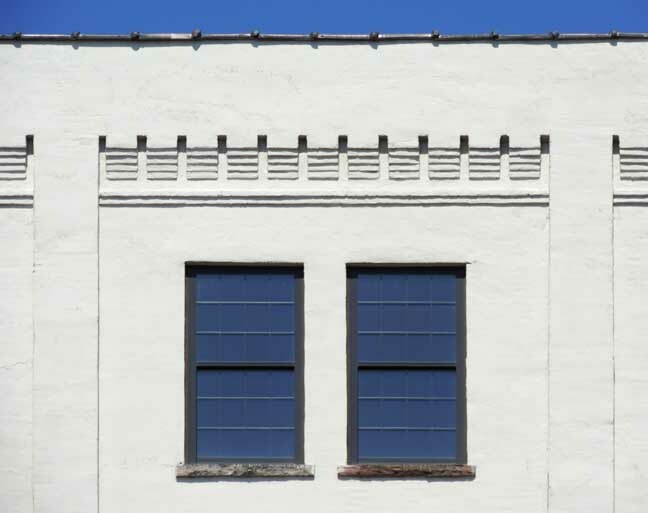 One of the best improvements that will be made will be the installation of shop windows on the ground floor, as was the historical presence on Seneca Street.